Asia Institute, together with the Japan Foundation, The University of Melbourne Law School, Asian Law Centre and the Hokkaido University Research Faculty of Media and Communication presents the International Conference on New Frontiers in Japanese Studies. The conference features papers from Japanese Studies academics and researchers from institutions around the world. The International Conference on New Frontiers in Japanese Studies represents the work of a new generation of scholars in the field of Japanese Studies. The conference will present new approaches and ideas in Japanese Studies scholarship, focusing in particular on approaching global challenges in the twenty-first century. (Topics include environmentalism, ageing society, energy policy, tourism, lifestyle, gender equality, social media, multiculturalism, civil society). Japanese studies scholarship has spread globally, and while it has been dominated by Western scholars in the US, Europe, and Australia, in hope of integrating multiple perspectives on Japanese society, we also include scholarship from centres of Japanese Studies in the Asia Pacific region. We believe this effort will push existing boundaries of the field, and make this conference a starting point for a new dialogue on Japanese Studies scholarship. The International Conference on New Frontiers in Japanese Studies will be a kick-off conference for the Modern Japanese Studies Consortium - a new academic initiative institutionalising research hubs in Japanese Studies. The founding institutions of the Consortium are the University of Melbourne Asia Institute, and Tokyo University of Foreign Studies Department of International Japanese Studies (provisional name) which will admit its first students in April 2019. We will open the research network internationally. Date and time: The conference will take place Monday 17 September to Wednesday 19 September, 9.00am - 5.30pm. Venues: Check the conference programme for detailed venue information. The conference is open to all staff and students of The University of Melbourne, and members of the general public may attend for a small fee to cover refreshments. The price of the dinner will be $66, which includes entrée, main, and one alcoholic drink. Please use the link below to register for dinner. Professor Philip Seaton's presentation 'Japan Studies in the 21st century' requires a separate registration, but attendance is free of charge. Register at the link below. The conference will take place over three days and features presentations and panel discussions on special topics in Japanese Studies, including the next in the Inagaki Seminar series from Professor Philip Seaton of the Tokyo University of Foreign Studies. The University of Melbourne's Professor Akihiro Ogawa will host panels throughout the conference, showcasing scholarship in Japanese Studies from across the Asia Pacific and bringing together a diverse range of voices to speak on topics ranging from the ageing society to gender equality. We are delighted to welcome Hirotaka Tateishi, president at the Tokyo University of Foreign Studies to the opening ceremony for the Global Japan Office..
Philip Seaton has been a professor in the Institute of Japan Studies, Tokyo University of Foreign Studies since April 2018. 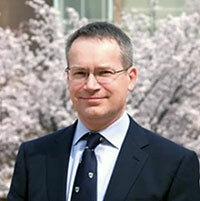 Previously, he spent 14 years at Hokkaido University, where he was convenor of the Modern Japanese Studies Program. His main research areas are war memories and tourism, and he is the author/editor of Japan's Contested War Memories (Routledge 2007), Voices from the Shifting Russo-Japanese Border (with Svetlana Paichadze, Routledge 2015), Local History and War Memories in Hokkaido (Routledge 2017), and Contents Tourism in Japan (with Takayoshi Yamamura, Akiko Sugawa-Shimada, and Kyungjae Jang, Cambria Press 2017). TLLP is a bilingual research exchange conducted by the Asia Institute at The University of Melbourne and the Graduate School of International Media, Communication and Tourism Studies at Hokkaido University. The program pairs Melbourne and Hokkaido students, who then engage in research information exchange, supporting each other's acquisition of relevant target academic language skills. During the exchange, students prepare a research abstract, presentation slides and script in their target language. Melbourne students receive feedback from Hokkaido students on their Japanese work, and return give feedback to Hokkaido students on their English. At the end of the program, all students prepare a paper in their target language with the help of their program partner. e-mail Ben Morgan at benedict.morgan@unimelb.edu.au with your full name, phone number, and affiliation. Due to space limitations, numbers are strictly capped at 15. One booking covers the entire day’s presentations. This section contains information about the conference venue, accommodation providers near the University of Melbourne, public transport, and visitor information for Melbourne. Please note: Most events are held in the Yasuko Hiraoka Myer Room at the Asia Centre; please check the programme for detailed venue information. Information on traveling to/from Tullamarine Airport to/from Melbourne city by taxi and shuttle bus. Melbourne is one of the great cultural capitals of Australia (Melburnians would say 'the cultural capital') and there is much to see and do. Business Victoria has information on both the city itself and regional Victoria.